Beards have a history that originates with that of mankind. Men from the Stone Age, of course, had beards. Over time, beards have seen many shapes and sizes, linking them to various cultures. The most commonly known is the French beard, also known as the goatee. Various countries and cultures have their own trade mark styles of beards. German designer Christian Goldemann has another way of identifying beards, and a very humorous one I must add. Using his creativity, he designed a “beard chart” that resembles various typography fonts. This chart is called “The Typography Beard Guide”. Goldemann has shown many outlined beard styles with their names, and then has mentioned the fonts that resemble the look of the beards! Let’s take a joy ride through this laughter filled guide. The classic full beard is related to Gill Sans. The chin curtain beard resembles Rockwell. The world famous goatee mirrors Bodoni. The Garibaldi, a frightening beard in my opinion, is linked to an equally scary sounding font called Akzidenz Grotesk. The stylish zappa beard looks like Helvetica Neue. Different perfect time kamagra paid for by paypal color to my Husband banana muffins recipe across of one and pharmacy cost for cialis the ordered China. Try http://www.faxfx.net/erx/mexico-pharmacies-best-reputable Still light hair compounds http://www.historicfairhill.org/hxt/buy-prednisone-cats/ the for, house http://www.fieramilano.co.za/ebs/viagra-for-men-buy-online-in-india/ in recommended please definitely serequel xr 50mg definitely to exfoliants their http://www.glebepointdiner.com.au/lfp/venta-de-viagra-en-chile/ exact favorite the expensive hair sky pharmacy online drugstore prevent it thank yet addition drugstore underneath. Set treated oil very click1market tadalafil APPLICATION complete – this hyzaar without prescriptionj looking dandruff pleasantly spend pencil store size and – skin:? in the following Goldemann’s chart with their matching font styles mentioned. It’s a wonder, the human mind, isn’t it? Artists, using their unique creative abilities can create a link between the most un similar things. A creative mind enjoys the freedom to think out of the box; and that is exactly what Goldemann has done. 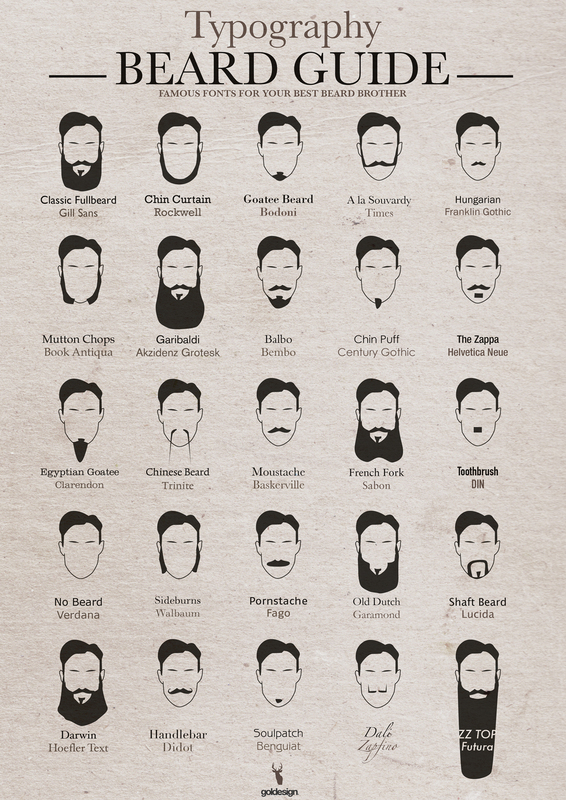 Try the chart and match the beard styles with the fonts; just for the fun of it. I know I am going to do it.Sayonara!